The SEC claims Musk misled investors on August 7 when he tweeted he had secured funding to take Tesla private at $420 a share, causing Tesla's stock to soar. He had not secured the funding, the SEC alleges. 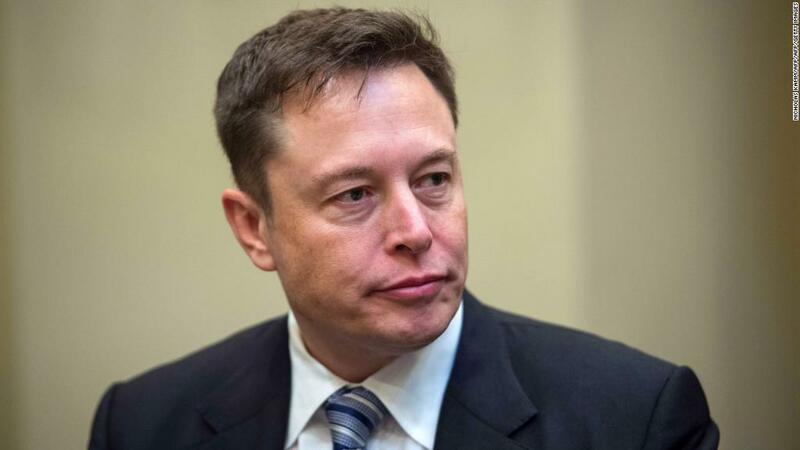 The regulator wants a federal judge to ban Musk from serving as an officer or director of any publicly traded company. Musk said in a statement that the SEC's suit is "unjustified." Analysts and experts told CNN the SEC lawsuit brings a scourge of uncertainties to Tesla (TSLA), which is already grappling with intense business pressure. Tesla's stock dropped about 14% Friday. Wall Street analysts are nervous about the prospect of Tesla without its founder in the driver's seat. The SEC's civil complaint made a pretty "straightforward" case that Musk violated securities law, according to Lee Richards, a former securities law prosecutor and founding partner of Richards Kibbe & Orbe LLP. Garrett Nelson, an analyst with CFRA, downgraded Tesla's stock to a "sell" rating on Friday. 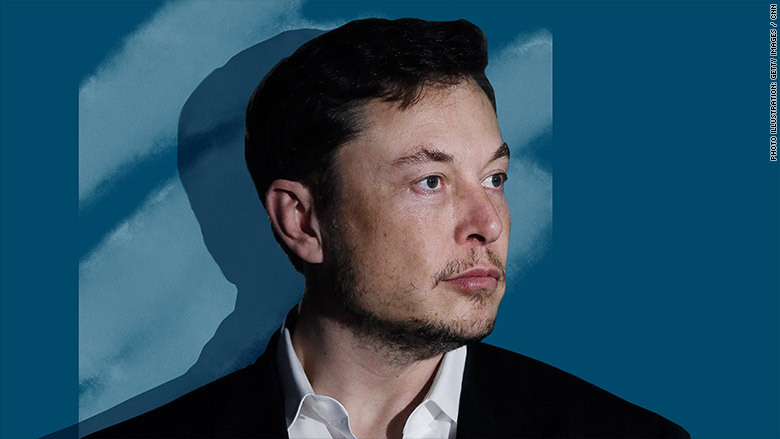 He argues even the threat of Musk's departure should be a deal breaker. "Without a doubt we think [Musk leaving] would be a negative. We think he's a genius. He's a visionary" Nelson said. The company doesn't spend any money on advertising, and it often relies on Musk's wildly popular social media accounts to get news out. Product updates are frequently dispatched from his Twitter account, which has 22.7 million followers. Not everyone is put off by the idea of a post-Musk Tesla. Tesla is "still a powerful brand on its own," said Karl Brauer, executive publisher of Kelly Blue Book and Autotrader. "Elon's presence at the top of the company isn't required to maintain Tesla's brand equity," he said. Apple survived without Steve Jobs, Brauer noted. Tesla can do the same. Musk's departure from Tesla isn't imminent. He will be allowed to retain his role and titles at Tesla until the SEC suit is decided or settled. That could take a year or longer, two former SEC officials told CNN. This is only the latest, albeit the most severe, in a series of controversies Musk has drawn in recent months. His other troublesome antics have included firing off late-night tweets, brushing off analysts' questions during an earnings call, disparaging a man who helped rescue boys trapped in a Thai cave, and sparring with his critics on social media. He's facing a defamation lawsuit from the Thai cave rescuer and shareholder lawsuits about his claim he secured funds to take Tesla private. The company confirmed earlier this month said that the Department of Justice is carrying out its own criminal investigation. That could result in Musk facing fines or jail time. But Musk's ouster isn't certain. Despite all the negative headlines, Tesla's board of directors said Thursday they "are fully confident in Elon, his integrity, and his leadership of the company." Doug Davison, a partner at Linklaters and former SEC official, pointed out that billionaire investor Mark Cuban successfully fought insider trading charges from the SEC a few years back. Even if Musk is found guilty, Richards, the former prosecutor, said Musk can look to argue that he sent the tweets without much forethought. That could help him get a leaner punishment, and potentially avoid a ban on corporate leadership or lessen it to a few years. And there is a loophole: If Tesla were to secure the funds to take the company private, Musk could stay on as chief executive because the SEC can only bar him from leadership roles at publicly traded companies, Davison said. If the company stays public, however, Musk could be forced to take a back seat role or exit the company entirely. That might not be the worst thing for Tesla, Autotrader executive analyst Michelle Krebs said. "I personally think what should happen is the board should be proactive and move him to a more visionary role and move other people into roles of actually operating the company," Krebs said. Tesla has always had its share of detractors. Its stock is one of the most heavily shorted on Wall Street, which means a lot of people are essentially betting against the company. But Krebs said most "investors and consumers probably want him to stay." And if he does hang on to control, Tesla's best move would be to "beef up the bench and the board with people who are not just rubber stampers." In other words, Tesla needs people who will keep Musk in check. Whoever runs Tesla will oversee some serious problems. Tesla has racked up a massive debt load as it's poured money into mass production of the Model 3, the company's first car intended for a mainstream market. Tesla claims it does not have a cash crunch, but several analysts told CNN they predict the company will need to raise money to right itself and pay off bills. Lenders could be reluctant to throw money at Tesla when the chief executive is facing a potentially lengthy court battle. Meanwhile, Tesla is about to face some competition in the luxury electric vehicle market. Established automakers including Audi, BMW and Mercedes are making big plays for the market. "There are fabulous electric vehicles slowly but surely coming to market," said Kelly Blue Book's Brauer. "And that only is going to make the atmosphere and the market circumstance" more uncertain. "Investing in Tesla equity and bonds over the past few weeks has been a game of choose your own adventure," Cowen analyst Jeffrey Osborne said in a note after the SEC's announcement. "Investors are concerned that this is just the beginning and there is a 'black box' of outcomes from here."